"Talk to me about the rain, not about the nice weather". When you open a Talarico umbrella, you feel protected, and a little bit bold at the same time. 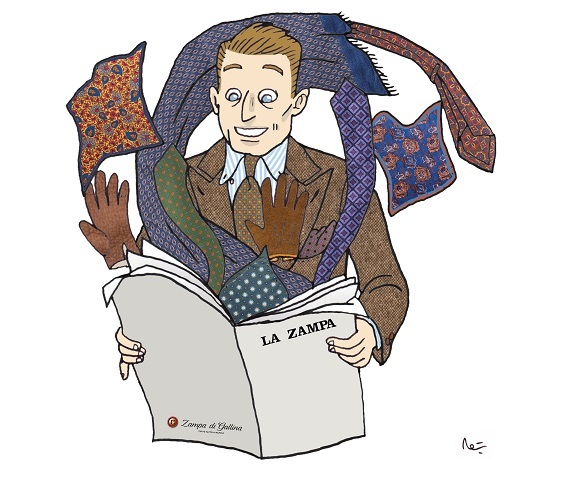 Admiring a Talarico umbrella makes you wish for a stormy weather because you know you can proudly face it. A visit at Mario Talarico's studio is a moving experience. Bamboo sticks, polished horn staffs, carved sunshades, this small 28m2 workshop overflows with tiny treasures. 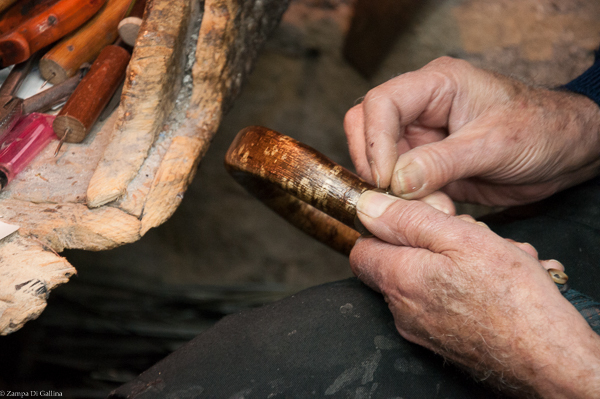 Some of the tools he uses are twice as old as he is, and the bench he sits on to polish the materials is a present made to his father. Close to the pictures of Mario with the Pope, or with Italian and International celebrities, you can find a holy picture of Padre Pio who watches over Mario and his nephew Mario Jr.
Les rosettes sont cousues à la main. 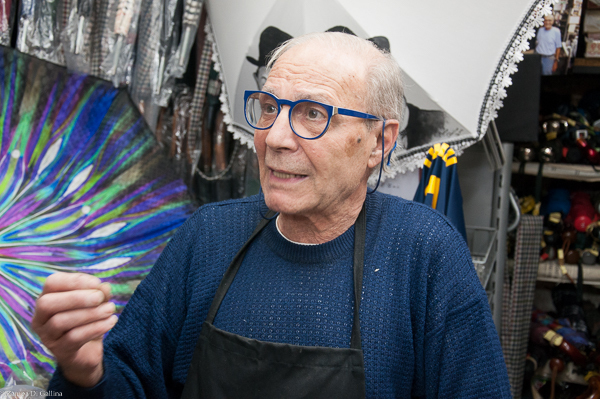 Mario Talarico is the heir of a very long lineage of Neapolitan umbrella makers. 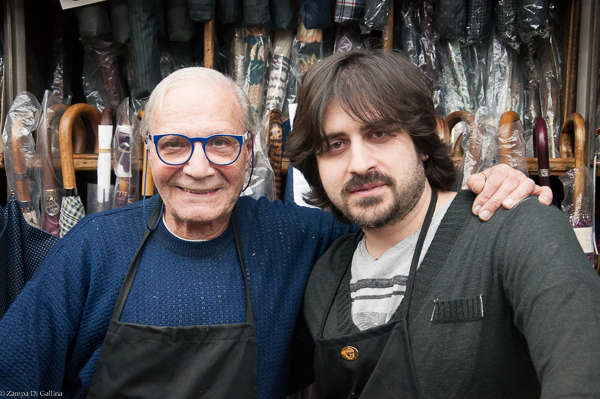 His great grand-father founded the Talarico company in 1860. And since, the little workshop has been creating astonishing umbrellas, totally handmade. The handle is made out of a single piece of carved wood ("asta intera" method"), the canopy ("the sky of the umbrella") is handcut and made of silk and polyester. Each umbrella is a unique creation because the pieces of wood used to make it are always different.